District though special district selection committee. These 11 vacancies are reserved for the Scheduled Agency Area of Khammam Schedule Tribe candidates. For more details please see the information given below. 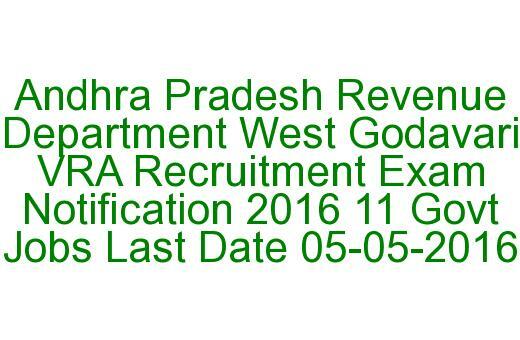 There are total 11 VRA vacancies available in West Godavari District Scheduled Area merged revenue mandal and villages of Khammam. For complete details regarding available vacancies please see the official notification. Must have qualified SSC/10th class from Andhra Pradesh Secondary Education Board. Age limits for ST candidates 18-45 years. Rs.6000/- and government allowances will be provided as per norms. 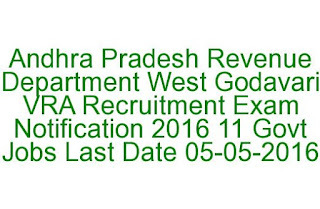 The eligible candidates have to pay this amount E-Seva or Mee Seva or AP Online centers. For list of authorized centers please see the official notification. The Selection of candidates is based on objective type Written Test for 100 Marks at SSC level. 50%of questions (30 Marks) will be aimed at testing the knowledge of the candidate on rural areas and rural living Conditions. Exam Paper will be in Telugu Medium only.